Memberships, Gift Vouchers and More! Memberships and Gift Vouchers - perfect gifts for the music lover in your life! Our membership package is amazing value - the £110 charge pays for itself with the free tickets, and the other discounts it offers last for the entire year! 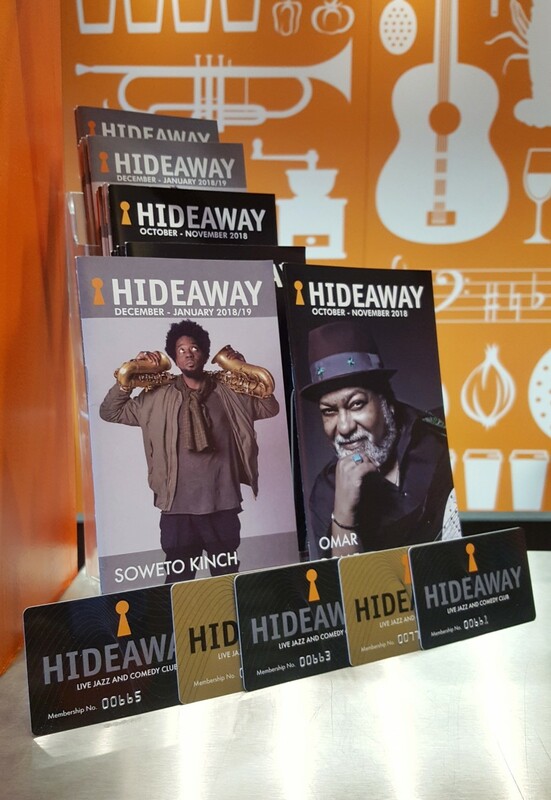 Or how about a gift voucher for a night at Hideaway? 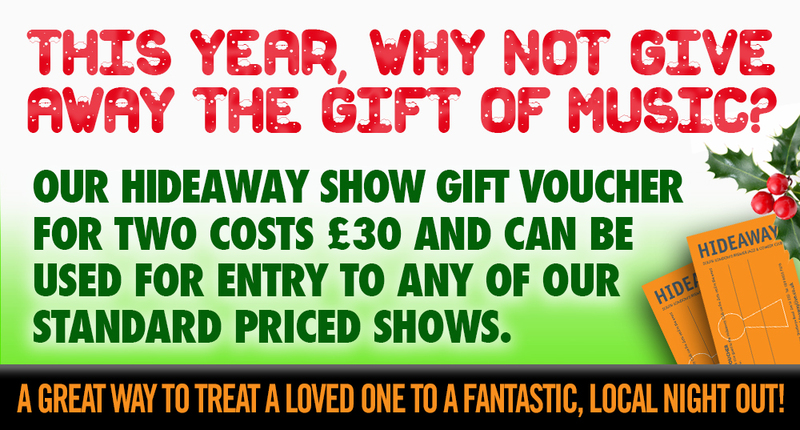 A pair of tickets to any standard priced live music show? An annual membership gives you four pairs of tickets - worth £140 - for just £110! With half price entry discounts as an extra benefit, if you're a Hideaway regular then this is the gift that pays for itself. 4 pairs of tickets for standard priced shows worth £140 (including Fridays and Saturdays subject to availability). Half price entry to the club, excluding Fridays and Saturdays, for standard priced shows (maximum four people per membership per day. Purchasing as gifts: If you are buying any of these products as a gift for someone else, please let us know in the comments box at the checkout and check that your contact information is accurate, so we can ensure that our records are correct. What can I book? : Tickets or other entry deals for all of these products apply to publicly listed live events held in Hideaway's main music room, subject to the exceptions listed below. How can I book? : Tickets or other entry deals for all of these products must be redeemed via advance booking through the Box Office, and are of course subject to availability. We always recommend booking early for popular gigs to avoid disappointment. Expiry dates - memberships: The four pairs of tickets in the membership package must be redeemed within the one year duration of the membership to which they are attached, subject to availability. We always recommend booking early to avoid disappointment. Ticket validity cannot be extended beyond this one year period even for a membership renewal. Expiry dates - gift vouchers/packages: Gift vouchers/packages must be redeemed within six months of the purchase date, subject to availability. We always recommend early booking to avoid disappointment. Memberships - half price entry discount: Members are entitled to half price entry to standard priced shows, excluding Fridays and Saturdays, for the member and up to three guests for each show, subject to availability. Transfers and refunds: Memberships/membership cards are not transferable or refundable.